If you’ve ever wondered about the right age for your child to start kindergarten, a new study out of Stanford suggests that later may be better. Researchers found significant mental health benefits for the kids who start formal schooling slightly later. And one of the keys to their success is access to high-quality, play-based preschools beforehand. The extra year of play is key. 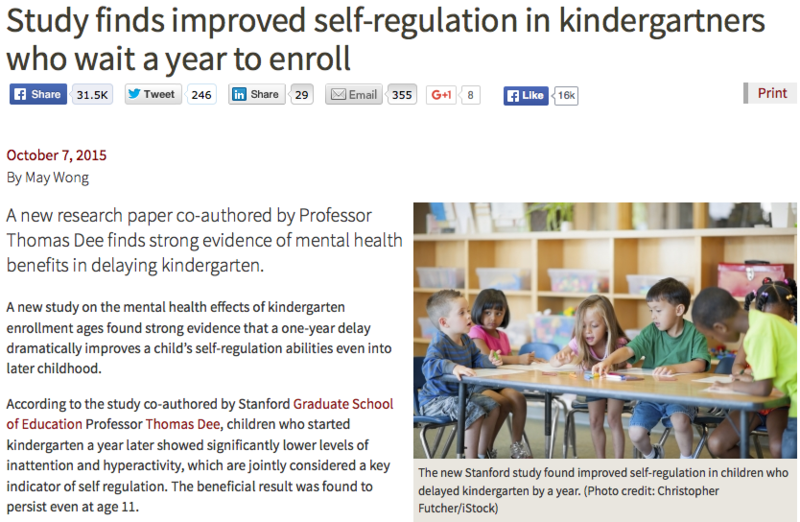 “The study’s findings also align with other research that has shown an extended period of early childhood play—such as in preschools—yields mental health developmental gains.